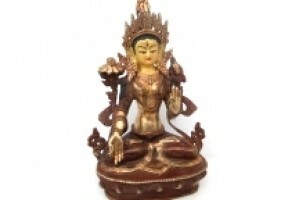 The attainment of wisdom and compassion, or enlightenment, is represented in the Tantric tradition as the union of male and female Buddhas. 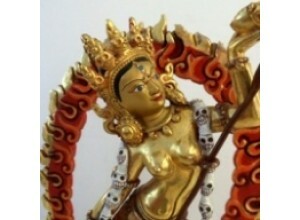 Vajra Yogini and Tara are both important yidams, or meditation guides for practitioners. Dancing silverline Mayadevi , mother of Siddhartha..
White Tara. 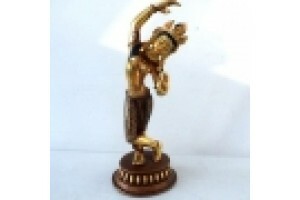 Copper statue with part gold plate. 22..